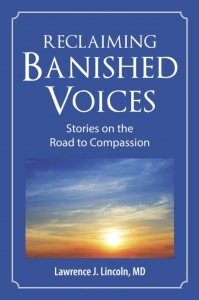 You will recognize my voice as you read both my personal story and the composite stories of many workshop participants. Perhaps it’ll take you back to tender moments at your first workshop, or forward to a bolder conversation with some of your own precious inner ones. As I repeatedly affirm in the book, the introspective process is a life-long journey! In addition to being a reminder of your own experience, the book’s appendix includes many of the teachings we have used at the workshops over the past 31 years. We’re hoping these thoughts will be helpful for you, as well. Each time we taught the basics that Elisabeth and her staff shared with us – like Natural and Distorted Emotions – the stories we chose were different, highlighting our own changing perspectives on past losses or emotional eruptions. There are, of course, a few funny stories that one or both of us recounted at every weekend. We do hope you’ll laugh again as well as wipe the corners of your eyes! Sending love and appreciation for your contribution to this book!